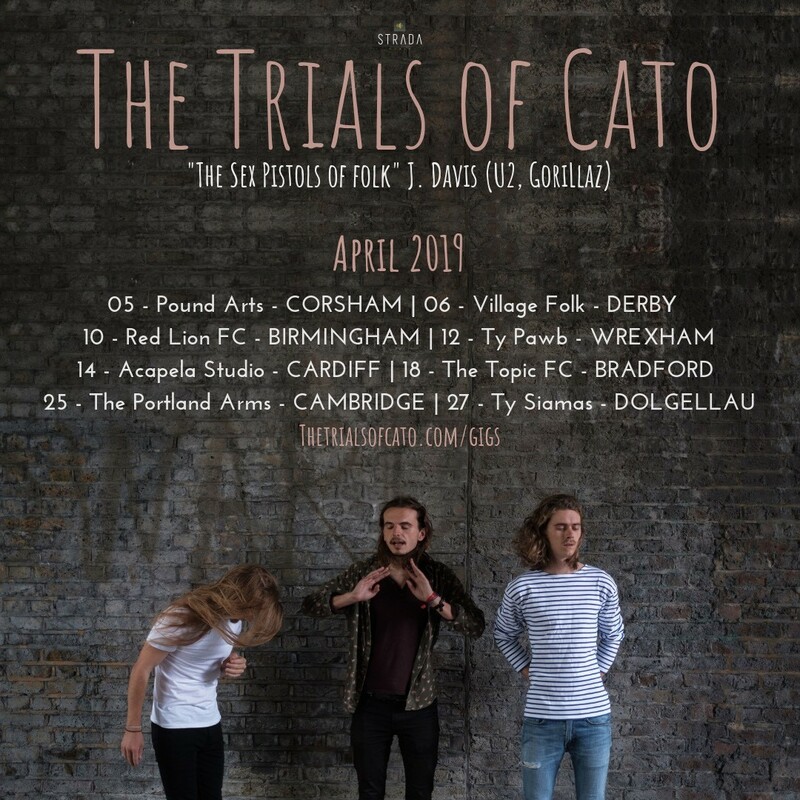 Originally from North Wales and Yorkshire, The Trials of Cato formed whilst living in Beirut, and spent a year boiling down the roots of their sound into a hybrid of traditional influences that intrigued Lebanese audiences in the country’s biggest venues. Returning home from Beirut in the winter of 2016, they have since torn a shape very much their own into the canvas of the UK folk scene. Back in the UK, they set to performing tirelessly up and down the country, leading to BBC Radio 2’s Mark Radcliffe hailing them as “one of the real discoveries on the folk circuit in recent times.” Musical development in the run up to their debut album proper was swift and sure, with Hide and Hair winning acclaim and receiving repeated national airplay on BBC Radio 2 and BBC 6 Music. Praised for the diversity of their material and influences, The Trials of Cato live show “invariably stuns audiences wherever they play.” (FATEA) Whether plying their trade busking, performing in front of thousands at festivals across Europe, or frequently selling out their own shows, The Trials of Cato have the wind behind them.